Pilates is the fastest growing fitness trend of the decade, and people are raving about its benefits but few people know that the Pilates method is the brainchild and the life’s work of Joseph Hubertus Pilates. A health visionary, fitness pioneer, author, inventor and self-proclaimed hedonist, Joseph Pilates was a man ahead of his time that cared passionately about people’s mental, physical and spiritual health. 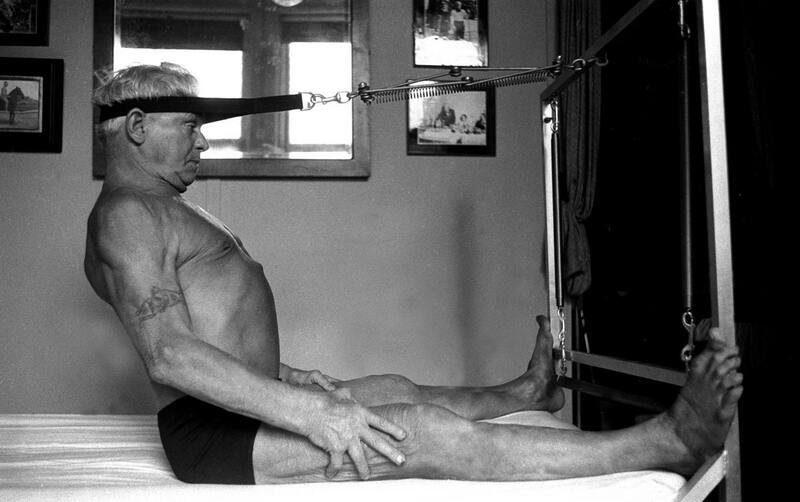 Joseph Pilates was born in Germany in 1880. As a child he suffered from asthma, rickets and rheumatic fever, which inspired him on a lifelong quest for greater health and fitness. His commitment to improving his health paid off; by the time he was 14 he was modelling for anatomy charts and eventually taught himself to become an all round athlete, excelling at skiing, gymnastics, diving and boxing. In 1912, Joseph moved to England. When the First World War broke out in 1914, Joe was interned as an enemy alien, first in a camp in Lancaster and then later on the Isle of Man. During his captivity, he worked with the camp’s bedridden patients. He fashioned exercise equipment out of pulleys, bedsprings and straps so that they could exercise while still in bed. He reasoned correctly that it would speed their rehabilitation if the patients didn’t wait until they were able bodied before exercising. These machines were the forerunners to the Pilates equipment Joe would later use in his studio. He also trained his fellow internees in wrestling and self-defense. His training was so powerful, that he is credited with saving the internees from the devastating influensa epidemic of 1918 which killed millions of people worldwide. After the war, Joseph returned to Germany where he continued working on his method. He worked with Rudolf van Laban and Mary Wigan, both choreographers and important movement innovators. He trained the Hamburg Military Police in self-defense, and was asked to train the new German army. However in 1926 he left Germany and moved to New York City. On the boat trip, he met his future wife Clara, a nurse and kindergarten teacher, for whom he created a series of exercises to cure her arthritis pain. The pair set up a studio at 939 Eighth Avenue in NYC where they taught “contrology”, the art of ‘gaining the mastery of your mind over the complete control of your body’. The building that their studio was in was also home to a number of dance studios. It was this proximity that forever married Pilates to the dance community. Dancers were sent to Joe when they needed rehabilitation and strengthening. There was a wide spread rumour that between 1939 and 1951, every dancer in New York City went to ‘Uncle Joe’ for training. In 1945 Joe published his treaties on health and wellness, Return to Life. In it, he expounds on the perils of modern city living which deplete the body of vitality and health. Joe urged readers to combat these modern stresses through physical fitness, ‘the first requisite of happiness’ which would also bring mental and spiritual health. 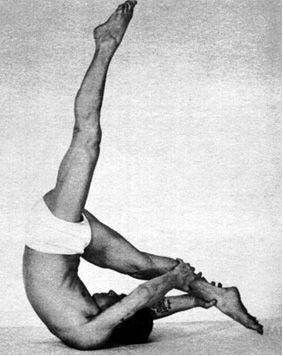 Joe continued to develop his method and teach at his studio well into his 80s. He enjoyed the great vitality and vigour his method gave him right up to his last days, proud that he had ‘never taken an aspirin, never had a sick day in (his) life’. Luckily for the world, his wife Clara, and some of the students he trained over his long and dedicated career carried on his message and his work, becoming teachers themselves. 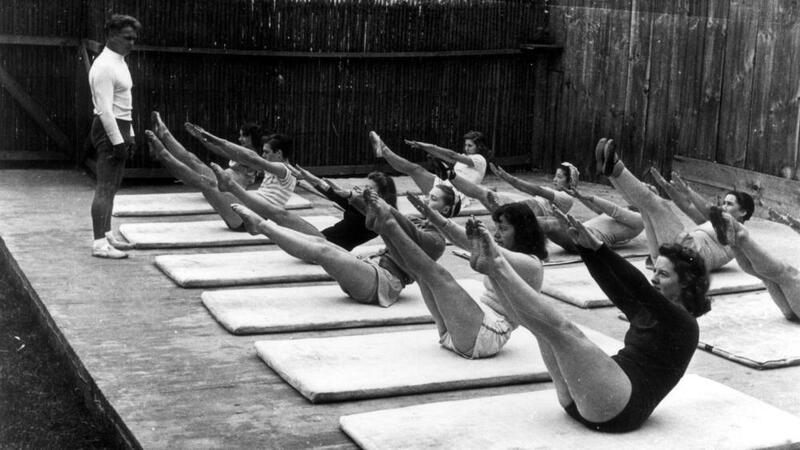 These first five generation master teachers, Romana Kryzanowska, Kathy Grant, Carola Trier, Eve Gentry and Ron Fletcher, have given much to ensure that Joseph Pilates’ legacy not only lives on, but thrives. Because each studied ‘Uncle Joe’ at different times during his career, each impart a different perspective on the Pilates method and have brought rise to different schools of Pilates that exist today. 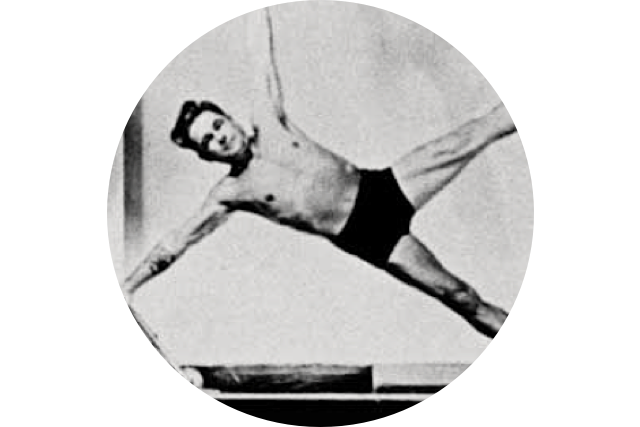 Joe Pilates never received any recognition during his lifetime, stating that his work would not be understood for another 50 years. Today, millions of people around the world benefit from Pilates’ vision, passion and genius. At Dynamic Pilates, we practice Classical Pilates. Movements are dynamic, giving you a real workout as you transition from movement to movement.